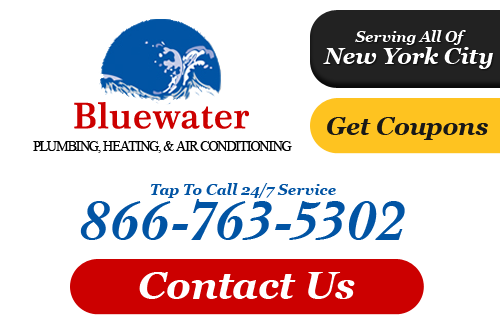 Bluewater Plumbing, Heating, and Air Conditioning is Queens's most trust heating & air conditioning source. Our team of certified technicians carries a wide selection of air conditioning products that cool your home and provide ultimate for comfort for your entire family. We have built a reputation on consistent quality work, dependable customer service, and high quality products that last for residential air conditioning in Queens, NY. Air conditioning installation requires careful planning and detailed execution. 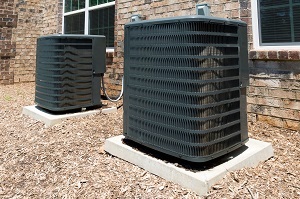 A key factor is matching the right size of your HVAC unit with the needs of your home. It is important to install a system that can adequately distribute cool air to the total area of your home's interior. We visit your home to assess what type of HVAC system you'll be need and what size unit. We provide you with a fair and accurate estimate, make recommendations, and then go to work to install an air conditioner that you will enjoy for many years. Our systems are easy to use and are guaranteed to bring you and your family satisfaction. You'll be glad you choose Bluewater Plumbing, Heating and Air Conditioning for AC installation in New York! The difference between a system that breaks down a lot in a relatively short period of time and a system that is headache free and lasts for up to 20 years is consistent care and routine air conditioning maintenance. This is why we offer our tune up service. A regularly scheduled air conditioner tune up should be performed no less than once a year. In some cases, we recommend 2-3 times a year depending on the age of your AC model. Our AC service provides you with a comprehensive inspection in which every part of y our air conditioner is assessed. All oil and liquid levels are checked, all cables and connections are evaluated. Once we make a thorough inspection, we make recommendations and then go to work to give your system and full tune-up. Sooner or later your air conditioner will break down. When it does you need a Queen air conditioning repairs company that you can trust to repair your AC Unit and restore it back to top performance. Bluewater Plumbing, Heating, and Air Conditioning repairs air conditioners for all residential properties all across Queens. We only hire trained certified AC repair technicians who have the experience to tackle any job and have your system repaired in an efficient manner. Our Queens air conditioning company is thorough in our work and inspect every details of your system to make sure all issues are resolved. Many families across New York experience AC system failure during the most inconvenient times and in some of the most inclement weather. This is why we offer 24 hour emergency air conditioning services in Queens and the surrounding areas. In weather with extreme temperatures, you can't wait around for a technician to come by. You need help now! Contact us next time you need quick repairs. We can find and fix problems fast! If you are interested in an estimate for residential air conditioning in Queens or the surrounding areas, please call 866-763-5302 or complete our online request form.